invoices and documents securely online. Send us your receipts, invoices & other documents. Our Australian team will validate & process your information. Your categorised documents are stored & searchable on the Squirrel Street Cloud. Stop spending precious time typing receipt and invoice details into a spreadsheet. We know your business needs all your focus! Regain your admin time by using Squirrel Street for your accounting, taxes and document organisation. Automating and outsourcing all expense scanning, data entry and organisation to Squirrel Street will be a major value-add to your firm and to all of your clients. 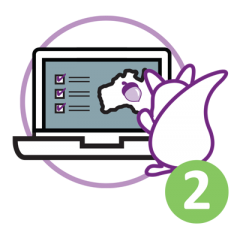 Our ProPartner Program lets you manage multiple accounts at a discount rate and makes exporting all of your data to MYOB, Xero, SageOne and the rest of our supported accounting packages a breeze! We know how essential the documents you send us are. We are dedicated to the security of your information. We use strong SSL encryption (the same as the banks use) to keep your information secure and private. We are also ATO compliant, so if you face a unexpected audit, simply export and submit your documents quickly and easily. Join us for a brief webinar that can be tailored to your specific needs. It’s a great chance to get all your questions answered by a team member before signing up.